If you have ever planted zucchini in your garden, you know first-hand just how prolific this plant can be. Zucchini reminds me of the creature from Greek mythology called the Hydra, you know the one that grows multiple new heads when one is chopped off. So why is this plant so prolific? For starters, zucchini is one of the easiest plants to grow. It requires minimal care and can grow in almost any type of soil. Zucchini plants flower more than other vegetable plants and those flowers naturally increases the fruit production of the plant. The production of the zucchini plant is cyclical. This means that the more you pick, the more your plant will continue to produce. If you have ever just let your zucchini fruit grow without picking them, they have the ability to grow to the size of a small child :). If you had picked that zucchini earlier, your plant would have put that energy into producing another fruit instead of focusing all of it’s energy into producing one ginormous fruit. 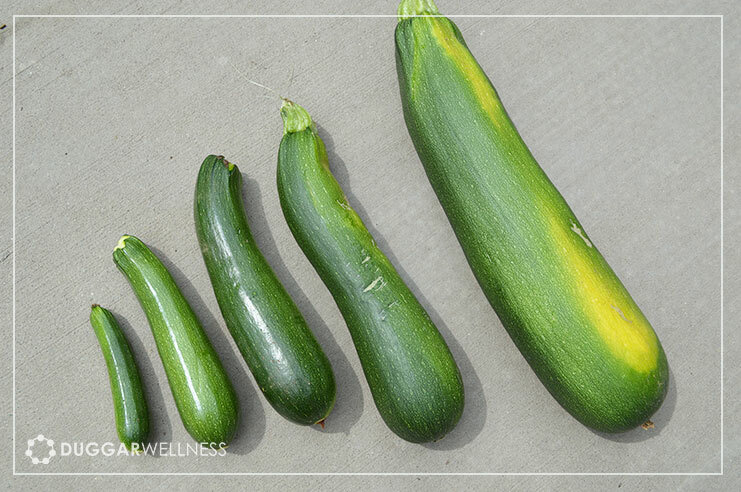 One zucchini plant has the potential to produce over 10 pounds of zucchini, so if you’re planning on planting zucchini, one plant should do it! Supports Strong Immune System: Zucchini is a good source of Vitamin A and Vitamin C. Both play a role in supporting proper immune function and act as antioxidants. Leaving the skin intact will offer you a greater concentration of these nutrients. Heart and Tummy Health: Zucchini is a great source of fiber. Fiber promotes good digestive health and plays an important role in managing cholesterol. Helps Maintain Healthy Weight: Zucchini is low in calories, high in water content and high in soluble fiber. This combination helps you feel full longer. Versatility: Zucchini is one of the most versatile vegetables. There are countless recipes out there that include zucchini on the ingredient list. Because I avoid gluten, one of my favorite ways to use zucchini is for noodles. “Zoodles” are easy to make with the help of some kitchen gadgets. 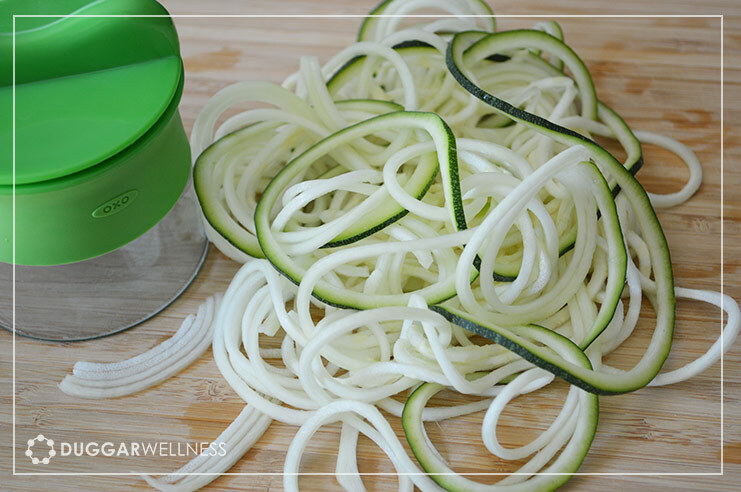 You can use a mandolin, a spiral slicer, a julienne peeler, or even a basic cheese grater to create “zoodles” that are different lengths and thicknesses.